Loyola Blakefield basketball picked a pretty good time to finally end years of frustration with Mount St. Joseph. Ten years to the date of their last victory, the No. 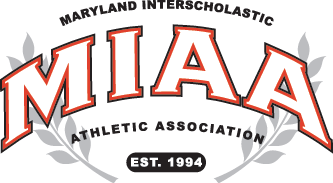 12 Dons defeated the fifth-ranked Gaels, 59-57, in a MIAA A Conference/Baltimore Catholic League contest Friday evening inside of Smith Center in Irvington. Tryllian Young scored 24 points for Loyola (15-10 overall, 9-5 MIAA A, 6-5 BCL), and Cam Smith and Dubem Nnake each contributed eight points. LSU recruit James Bishop finished with 24 points for Mount St. Joseph. The Dons used a first quarter surge to gain the lead for good, but withstood several Gael charges to end a 22-game losing streak to the Southwest Baltimore powerhouse. It also spoiled the Gaels’ Senior Night. Loyola’s previous victory – an 85-76 decision – occurred on Feb. 1, 2009 (Super Bowl Sunday) inside of St. Joe’s Alumni Gym. Sixteen of the next 22 decisions were double-digit wins for Mount St. Joseph, but Loyola played tough in two of three prior meetings before Friday. With nearly the entire area’s athletic schedule wiped out because of winter weather Friday, Loyola finally broke through. The Dons fell into an early 7-2 hole, but recovered with a 15-3 run to gain a 17-10 advantage. Loyola led 24-21 at the half and 37-34 after three quarters. The Dons stretched the lead to 49-40 midway in the fourth, but behind Bishop, Mount St. Joseph drew to within 59-57 with under a minute left in regulation. The Gaels (19-5, 12-2 MIAA A, 8-2 BCL) had the ball with 25 seconds to play, but Loyola senior Conner Hepting came up with a steal. The Dons did the rest from the free throw line (9-of-15 in fourth) in the closing seconds. Bishop had 15 of his game-high 24 points in the final frame, and Wesley Chairs added 11. Chairs, Bishop and Jonah Burns, the Gaels’ seniors, were honored before the game. The night, however, belonged to Loyola, which strengthens its bid to host a home game in the BCL Tournament quarterfinals later this month. The Dons are assured a MIAA A playoff berth – its first since the 2008-09 season. Loyola – Hepting 4, Young 24, Fischer 7, Smith 8, Moore 4, Nnake 8, Gioioso 4. Totals 21 17-24 62. Mount St. Joseph – Crawley 5, Brelsford 7, Bishop 24, Chairs 11, Brown 6, Carr 4. Totals 21 10-13 57.
e quarters, as the Gaels drew close. Loyola, however, went on a another run, extending its advantage to 49-40 midway through the fourth quarter. St. Joe staged one more comeback behind the hot hand of James Bishop (24 points), eventually cutting the lead to 59-57 with under a minute to play. The Gaels (19-5, 12-2 MIAA A, 8-2 BCL) had the ball with 25 seconds to play, but Loyola senior Conner Hepting came up with a steal. Free throws in the closing seconds sealed the game for the Dons. Tryllian Young led Loyola with 24 points. Cam Smith and Dubem Nnake each contributed eight points as well.